This second edition reviews the new research findings and theoretical advances on fathers, families, child development, programs, and policies that have occurred in the past decade. Contributors from a range of disciplines and countries showcase contemporary findings within a new common chapter structure. All of the chapters are either extensively revised or entirely new. 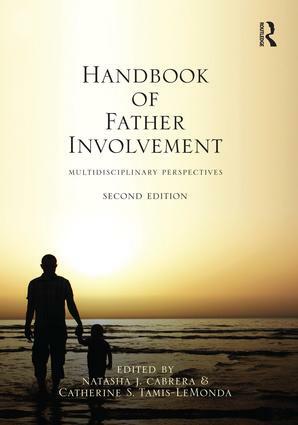 Biological, evolutionary, demographic, developmental, cultural, sociological, economic, and legal perspectives of father involvement are described along with policy and program implications. Now with a greater international perspective, this edition considers demographic shifts in families in the United States and Europe. All chapters now follow a common structure to enhance readability and interdisciplinary connections. Each chapter features: Historical Overview and Theoretical Perspectives; Research Questions; Research Methods and Measurement; Empirical Findings; Bridges to other Disciplines; Policy Implications; and Future Directions. In addition, each chapter highlights universal and cultural processes and mechanisms. This structure illuminates the ways that theories, methods, and findings are guided by disciplinary lenses and encourages multidisciplinary perspectives. • Expanded section on Biological and Evolutionary Perspectives that reviews fathering in animal populations and the genetic and hormonal underpinnings that feed into fathering behaviors within and across species. • New section on Economic and Legal Perspectives that addresses the economics of fatherhood, marriage, divorce, and child custody issues, and family dispute resolution. • New section on Child Development and Family Processes that covers topics on father-child relationships, the father’ role in children’s language, cognitive, and social development, and father risk, family context, and co-parenting. • Separate chapters on Black, Latino, and Asian American fathers. • Now includes research on cohabitation and parenting, gender roles and fathering, intergenerational parenting, and fatherhood implications for men in the section on Sociological Perspectives. • The latest demographics, policies, and programs influencing father involvement in both the US and Europe. • Coverage of methodological and measurement topics and processes that are universal across ethnic groups and cultures in each chapter. Intended for advanced students, practitioners, policymakers, and researchers interested in fatherhood and family processes from a variety of disciplines including psychology, family studies, economics, sociology, and social work, and anyone interested in child and family policy. Section I: Biological Processes and Evolutionary Perspectives. A. Storey, C. Walsh, Biological Basis of Mammalian Paternal Behavior. D. Waynforth, Evolutionary Perspectives on Father Involvement. K. L. Bales, M. R. Jarcho, Fathering in Non-Human Primates.Section II: Demographic Perspectives. S. L. Hofferth, J. H. Pleck, F. Goldscheider, S. Curtin, K. Hrapczynski, Family Structure and Men’s Motivation for Parenthood in the United States. W. Sigle-Rushton, A. Goisis, R. Keizer, Fathers and fatherhood in the European Union. M. E. Scott, K. Peterson, E. Ikramullah, J. Manlove, Multiple-partner Fertility among Unmarried Nonresident Fathers. Section III: Child Development and Family Processes. M. E. Lamb, C. Lewis, Father-Child Relationships. C. S. Tamis-LeMonda, L. Baumwell, Natasha. J. Cabrera, Fathers’ Role in Children’s Language Development. M. S. Leidy, T. J. Schofield, Ross D. Parke, Fathers’ Contributions to Children’s Social Development. H. E. Fitzgerald, E. L. Bocknek, Fathers, Children and the Risk-Resilience Continuum. L. A. Roggman, R. H. Bradley, H. Raikes, Fathers in Family Contexts. R. Palkovitz, J. Fagan, Coparenting and Children’s Wellbeing.Section IV: Cultural Perspectives. J. L. Roopnarin, Z. Hossain, African American and African Caribbean Fathers. N. J. Cabrera, D. Aldoney, C. S. Tamis-LeMonda, Latino Fathers. D. B. Qin, Tzufen Chang, Asian American Fathers. Section V: Sociological Perspectives. W. D. Manning, S. L. Brown, Cohabiting Fathers. A. Doucet, Gender Roles and Fathering. K. Roy, J. Smith, Nonresident Fathers, Kin, and Intergenerational Parenting. D. J. Eggebeen, C. Knoester, B. McDaniel, The Implications of Fatherhood for Men. Section VI: Economic and Legal Perspectives. D. Bishai, Economics of Fatherhood. M. M. Stevenson, S. L. Braver, I. M. Ellman, A. M. Votruba, Fathers, Divorce, and Child Custody. A. G. Applegate, K. Schwartz, A. Holtzworth-Munroe, Fathers and Family Dispute Dissolution. Section VIII: Policies and Program. S. Coltrane, A. Behnke, Fatherhood and Family Policies. E. Kramer Holmes, P. A. Cowan, C. P. Cowan, A. J. Hawkins, Marriage, Fatherhood, and Parenting Programs. Natasha J. Cabrera is Associate Professor in Human Development at the University of Maryland. Dr. Cabrera arrived at the University of Maryland with several years of experience as an SRCD Executive Fellow and Expert in Child Development with the Demographic and Behavioral Sciences Branch (DBSB) of the National Institute of Child Health and Human Development (NICHD). Dr. Cabrera’s research, funded by National Institute of Child Development and the Ford Foundation, focuses on: father involvement and children’s development; children’s developmental trajectories in low income and minority families; ethnic and cultural differences in fathering and mothering behaviors; family processes in a social and cultural context and children’s social development; and the mechanisms that link early experience to children’s school readiness and children’s social development. She has published in peer-reviewed journals on policy, methodology, theory and the implications of father involvement on child development and she co-edited other volumes including Latina/o Child Psychology and Mental Health (2011) and From Welfare to Child Care (2006). Catherine S. Tamis-LeMonda is Professor of Developmental Psychology at New York University’s Steinhardt School of Culture, Education, and Human Development and Director of the Center for Research on Culture, Development and Education at NYU, where she engages in research on the language, cognitive, social, and emotional development of infants and children from culturally diverse backgrounds across the first years of life. Her focus on early developmental processes highlights the social and cultural contexts of early development, especially the ways in which mothers’ and fathers’ beliefs and practices shape children’s developmental trajectories in different populations within the U.S. and internationally. Tamis-LeMonda’s research has been funded by the National Science Foundation, National Institute of Child Development, National Institute of Mental Health, Administration for Children, Youth and Families, the Ford Foundation, and the Robinhood Foundation. She has approximately 100 publications in peer-reviewed journals and books, and has co-edited other volumes including Child Psychology: A Handbook of Contemporary Issues, 2nd Edition (2006) and The Development of Social Cognition and Communication (2005).